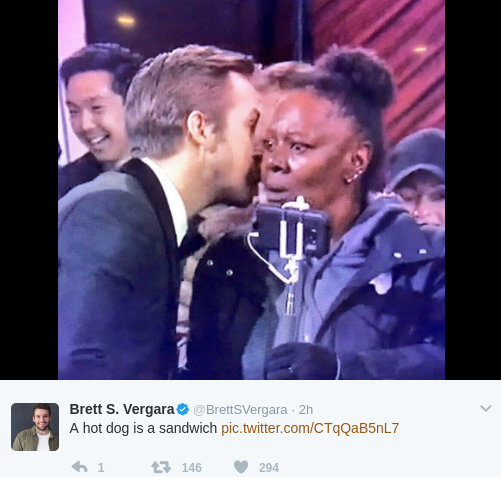 Ryan Gosling may not have won the Oscar for Best Actor at the 2017 Academy Awards, but he’s no loser! 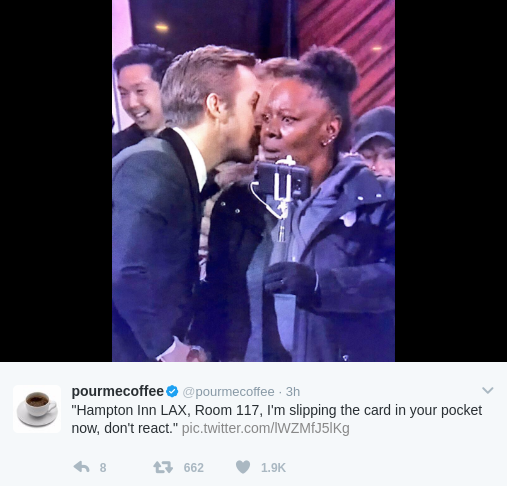 The La La Land actor is the new meme trend of 2017, thanks to his ruffly Gucci tux, the Best Picture flub, and the “Whispering Ryan Gosling” images flooding the Internet. 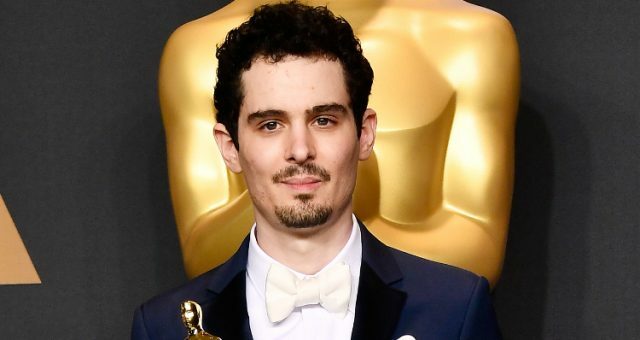 With the 2017 Academy Awards over, the weekend has officially ended. 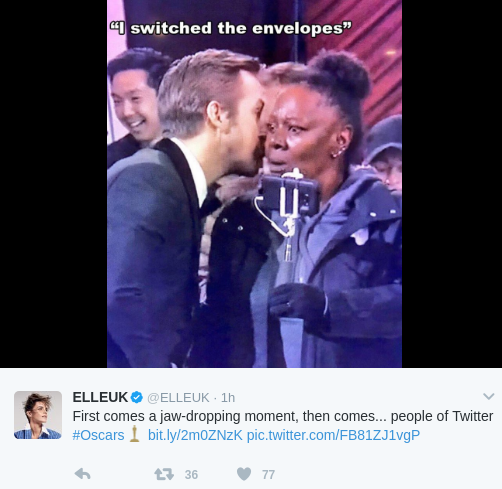 A lot of us have probably been hit by a bout of Monday blues, but a little laughter, courtesy of the Oscars, can change that! 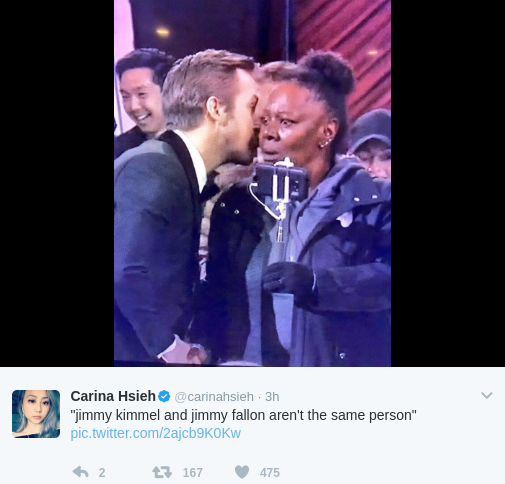 La La Land’s Ryan Gosling stole some attention during the 2017 Oscars, even though he didn’t win for Best Actor. 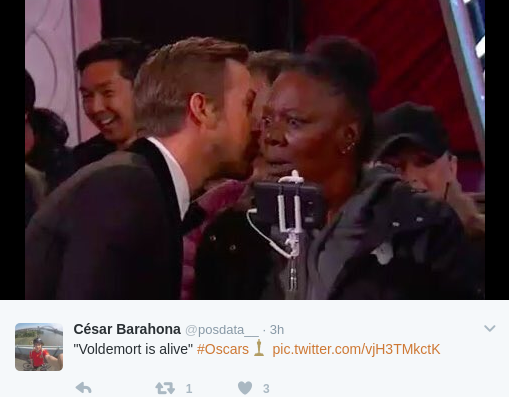 He’s now trending on the Internet as one of the best Oscar memes. 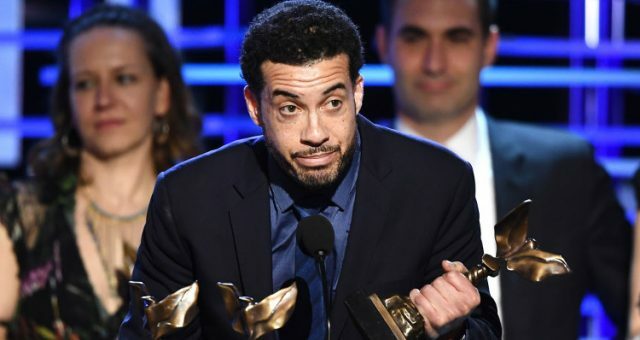 During the Academy Awards, host Jimmy Kimmel had a tour bus full of people enter the Dolby Theatre thinking they were going to see an exhibit of Oscar dresses. 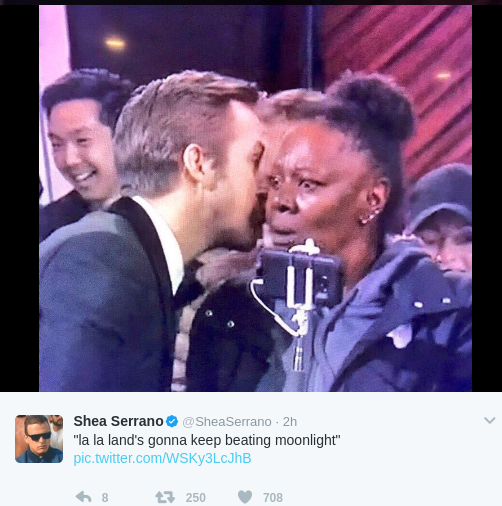 Ryan Gosling whispered something to one of the tourists, resulting in a “Whispering Ryan Gosling” meme. The woman, Vicky, who’s fiancé Gary was on the tour with her, gave a reaction that was a mix between shock, excited, clueless, and meme-able. Gosling hit the red carpet in an ‘80s style prom tux with ruffles, and somehow pulled it off like only Ryan Gosling can! 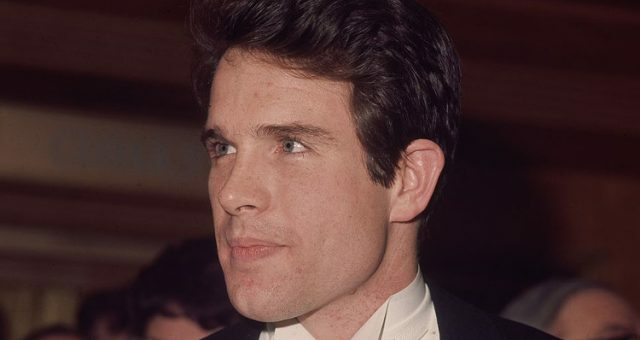 Still, Gosling and his tux couldn’t be spared from a few jokes, though, they were nothing compared to the jaw-dropping Best Picture goof up, where presenter Warren Beatty mistakenly picked up the wrong envelope and announced that La La Land had won Best Picture! 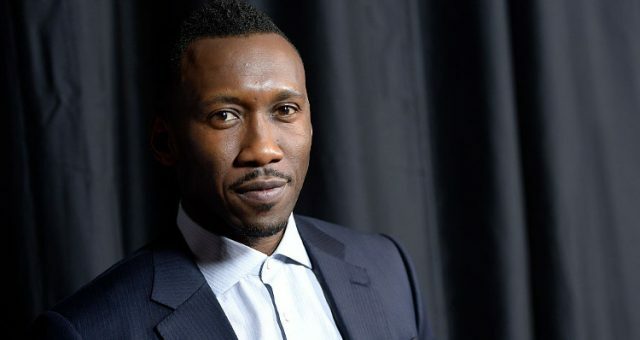 Only after the cast and crew had given their speeches was it revealed that Beatty made a mistake and it was Moonlight that actually won Best Picture. Gosling was a gracious gentleman who congratulated the Moonlight cast and even stayed behind for pictures. 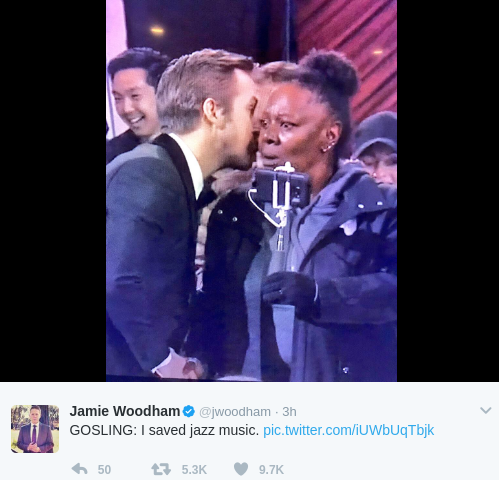 With such a dramatic evening for Gosling and his La La Land crew, some hysterical memes couldn’t be far behind. 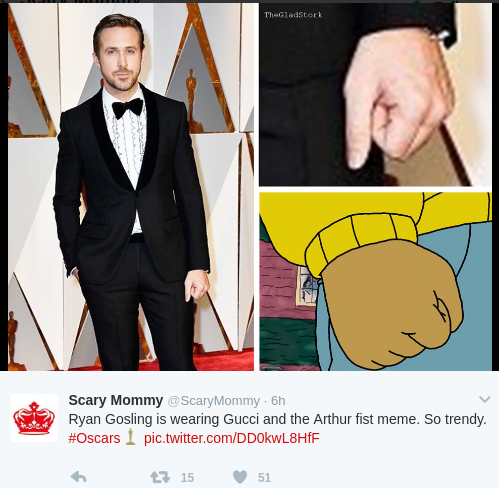 Also Read: Oscar 2017: Check Out the 6 Best Oscar Memes You Will See Today! #1. If you would both be so kind as to tell us what the whispering was about? #2. 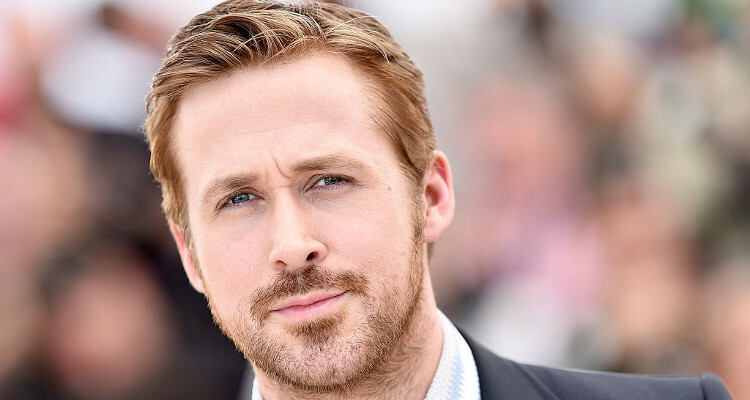 The Gosling effect may include wide eyes, difficulty breathing, and a sudden urge to dump your partner. #3. Looks like someone decided he’s going to be a meme tonight. #4. 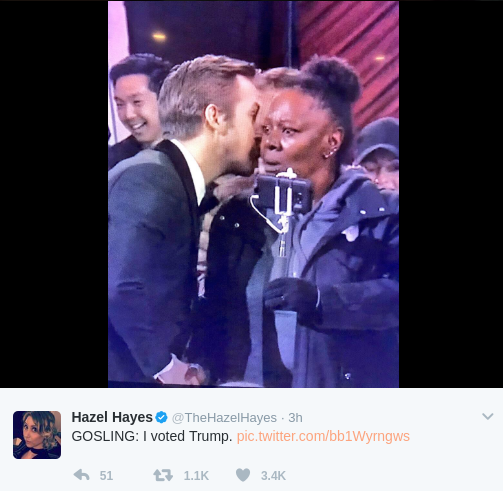 Gosling has a mean sense of humor. #6. A representation of the endless possibilities that come from one picture. #7. More Harry Potter movies anyone? 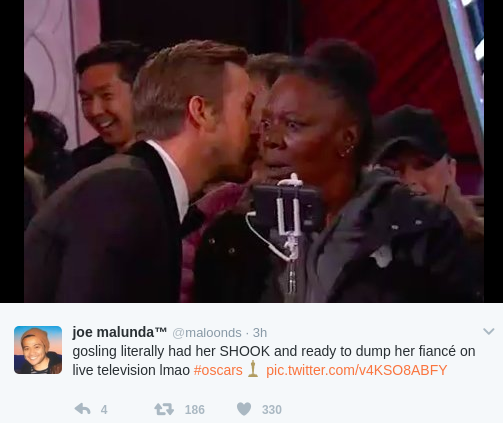 #8. Who wouldn’t have second thoughts in front of Ryan Gosling? #10. And for the finale!